M110 (NGC 205), is an elliptical galaxy, a satellite of M31, the great galaxy in Andromeda. Surrounded by a halo containing 8 globular clusters, M110 is almost 3 million light-years away, a distance equivalent to its distance from M31. Although it was discovered by Charles Messier in 1773, it was only entered in his catalogue in 1966 by K.G. Jones: it is therefore the last object in Messier's catalogue. With a magnitude of 8.5 and an interesting apparent size (17x10 minutes of arc), it is a celestial object that is easy to observe with a small telescope. 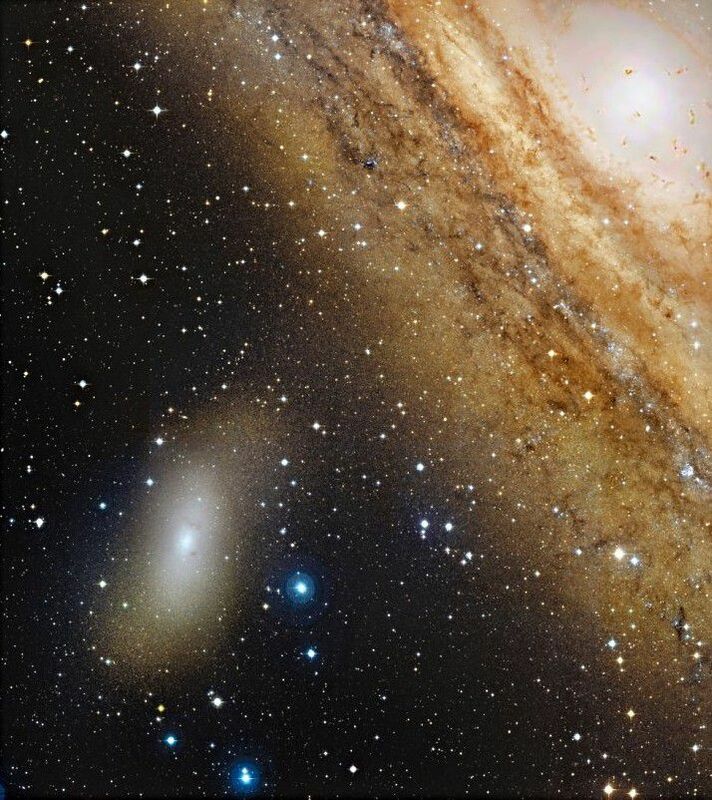 Seen through an astronomical instrument it forms a remarkable trio with M31 its big sister, and M32.